I don’t know about you but I’ve had a bit of a bumpy week. Normally I am that admittedly somewhat annoying person who loves getting up in the morning. I have crafted the most beautiful morning routine that I love so much that I feel a little bit of Christmas morning giddiness every morning (I know, I know, normally I try not to talk about it too much so people don’t throw up). I run through my routine and finish by sitting down to write and I really don’t worry too much about if I’ll feel inspired to do it or not because I inevitably do. But this week has been hard! I have been struggling with everything going on in the world and not sleeping well. I have been staying up too late searching for some kind of answers and spending far too much time on social media reading articles of speculation and distress. I have had a hard time getting up in the morning and have found ways to justify staying in bed later and later. As so easily can happen when our mind, body and spirit need it the most I have been letting my self care routine slip. Sometimes just going through the motions you can trick yourself back into an inspired state. As I laid in bed this morning I said to myself “Enough! Just get up and put the tea kettle on.” So I did and that started off a series of well worn morning practices that ultimately led me to you with a huge sense of the comfort of coming home. I’d like to advocate for intentionally creating a morning routine just for this reason. Sometimes when you are feeling emotionally drained you need a self care plan in place that you can run on autopilot. Whatever it is that you need to do to feel cared for, rejuvenated or inspired make sure you do it regularly during the good times so that you know how to fall back on it in the hard times. Trying to create healthy habits when you are not feeling great – physically or mentally – is exponentially harder. Although I have been letting my morning routine slip there are two things that I have made more time for this week that have been a huge help in processing these big emotions I’ve been having. One is spending time with good friends – talking about everything going on, and also remembering to take time to talk about other things going on in our lives! The other is making time to get outside – I call it our mountain therapy. This weekend it felt like we needed a good dose so we packed up the family and headed up into the Cascades to spend a couple of days with a good friend who lives there. There have been all kinds of studies done on the benefit of spending time in nature, more on that in a future blog post, but I can say from personal experience that breathing that pine soaked air and exploring the trails with the kiddos was just what this aching heart needed this weekend. Please be sure to take care of yourself in times of tumult. The world needs you healthy and well now more than ever. 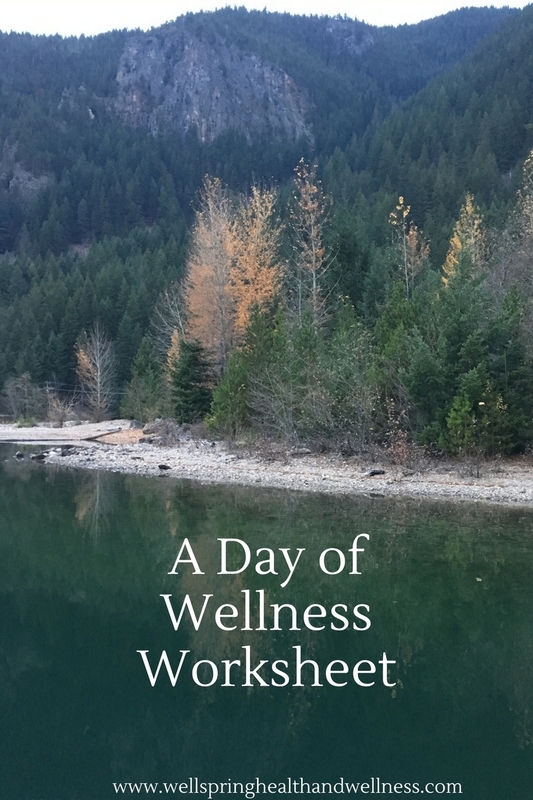 Sign up here to stay up to date with the latest Wellspring Health and Wellness tips, tricks and inspiration for creating a healthy, happy life.